Arlington Heights police Wednesday morning announced charges for a man accused of attacking another man with a chainsaw after crashing into his car head-on in front of 559 West Golf Road in Arlington Heights. Arlington Heights police report that on Monday, June 19, 2017, at approximately 1:00 p.m., Arlington Heights police officers responded to the area of 559 West Golf Road to a report of a car crash and a man chasing another man with a chainsaw. 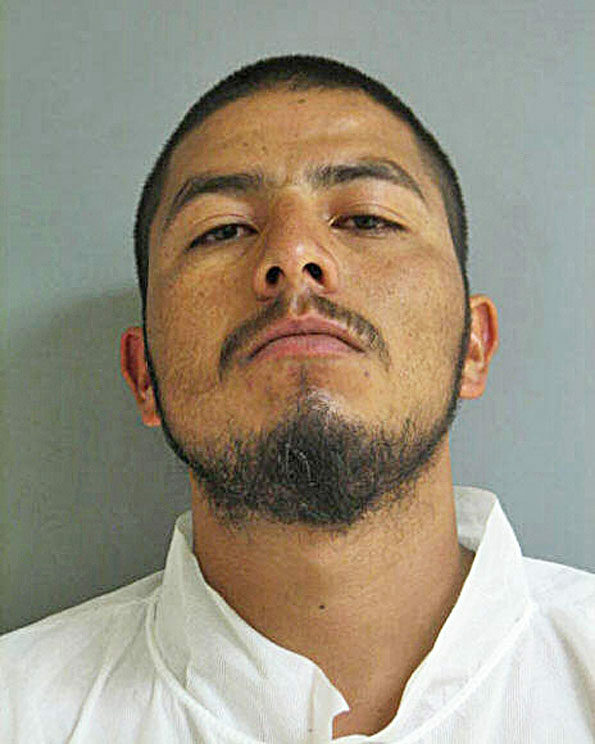 Upon arrival, officers located Jose A. Jaimes-Jimenez on the ground next to a chainsaw wearing only his boxer shorts. Jose A. Jaimes-Jiminez was taken into custody without incident. Investigation revealed Jaimes-Jiminez intentionally crashed his vehicle into a vehicle driven by the 39-year-old victim and occupied by his girlfriend. When the victim fled from the vehicle, Jaimes-Jimenez chased him for a short distance before attacking him with the chainsaw. The victim escaped into a business where the employees locked the door and called 911. Emergency personnel found the victim with cuts to his stomach, right hand, right elbow, and left forearm. The victim was transported to Northwest Community Hospital by Arlington Heights paramedics where he underwent surgery for his injuries. Jaimes-Jiminez provided a full confession stating that the incident centered around a woman the victim was dating with whom Jaimes-Jimenez had a prior relationship. Attempted First Degree Murder, Aggravated Battery with a Deadly Weapon, Aggravated Battery. Court records show that a bond hearing held today, June 21, 2017 at 1:30 p.m. resulted in Jaimes-Jimenez being ordered held on $2,500,000 bond. Jaimes-Jimenez, age 27, 5’10” 175 LBS, lives in an apartment at 4067 Bonhill Drive near Lake Cook Road and Route 53 in unincorporated Arlington Heights/Palatine Township. His address is not far from the location of a shooting that occurred one week earlier on Monday, June 12, 2017 in the Whispering Winds Apartment Complex at 4001 Bonhill Drive. One week before the chainsaw attack, a shooter on June 12, 2017 struck two men with gunfire, hitting one in the back and causing serious injuries, and hitting another in the foot. Cook County Sheriff’s police is leading the investigation regarding the Whispering Winds shooting. Neither Arlington Heights police or Cook County Sheriff’s police have stated there is any connection between the two crimes. 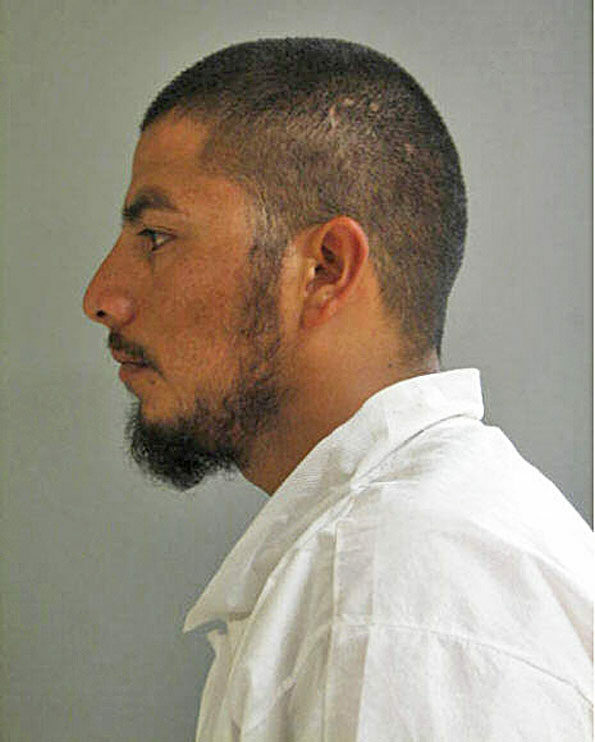 Jose A. Jaimes-Jiminez Attempted Murder Suspect.